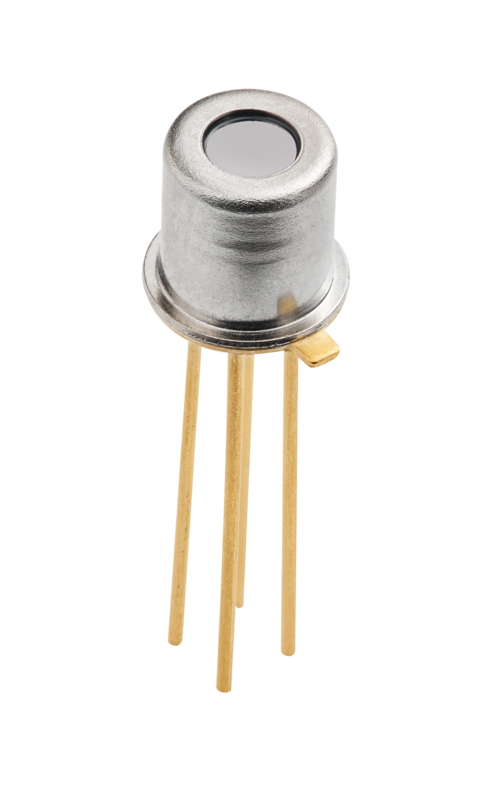 The OTP-868D2 L3.0 is a thermopile sensor with optical lens. The sensor is composed of 116 elements of thermocouple in series on a floating micro-membrane having an active area of 0.9 mm2. A thermistor with a lead connected to ground is also provided inside the TO package for ambient temperature reference.